One of WWE’s former superstars, James Ellsworth, recently showed up in surprise fashion at an NWA event and will now challenge for the NWA Championship. The former SmackDown Live superstar has several big wins to his name but was released from WWE just last year. However, the man who made the phrase “Any man with two hands has a fighting chance” famous is now going to put his two hands to the test against the NWA Champion. While Ellsworth never held any championships within the WWE, he gained several high profile victories over WWE Champion AJ Styles in non-title matches. 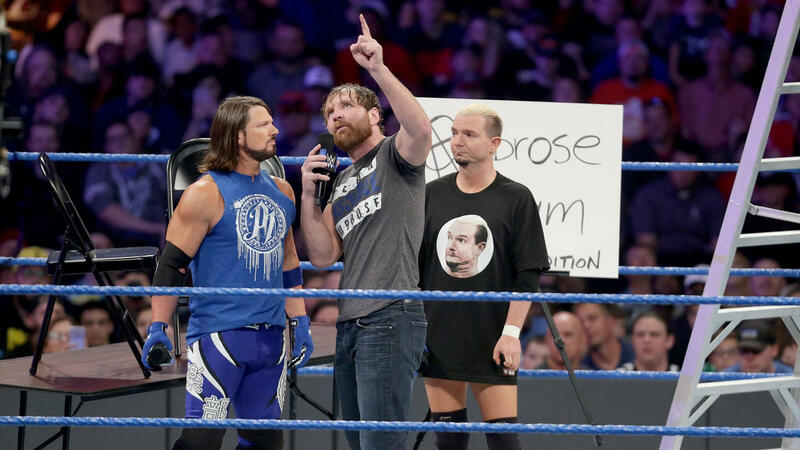 Most of these came due to help from fellow SmackDown Live superstar Dean Ambrose. From there, Ellsworth went on to work as a ringside valet or sidekick for Carmella and infamously helped her win the first-ever women’s Money in the Bank Ladder Match. Ellsworth also competed against Becky Lynch in a match, which he lost, shortly before his release by WWE. His major debut in WWE came as a “jobber” who took a loss to big man Braun Strowman just after Ellsworth made his “any man with two hands” comments that resonated with fans. He was also referred to as a “chinless wonder” due to his lack of a prominent facial feature. A video clip below gives some comments from Ellsworth and shows his arrival to the ring to confront NWA Champion Nick Aldis. The James Ellsworth vs. Nick Aldis match will be available for fans to watch on the NWA YouTube channel later in this week. It would be surprising if NWA puts the title on Ellsworth since he was a novelty act when working with WWE. One has to think he may have been a lot better in the ring if WWE decided to have him undergo more training rather than hanging around outside the ring as a minion for Carmella.